The Reading Pretzel Fried Snack Extruder creates fried snacks including potato rings, potato sticks and ethnic noodles. 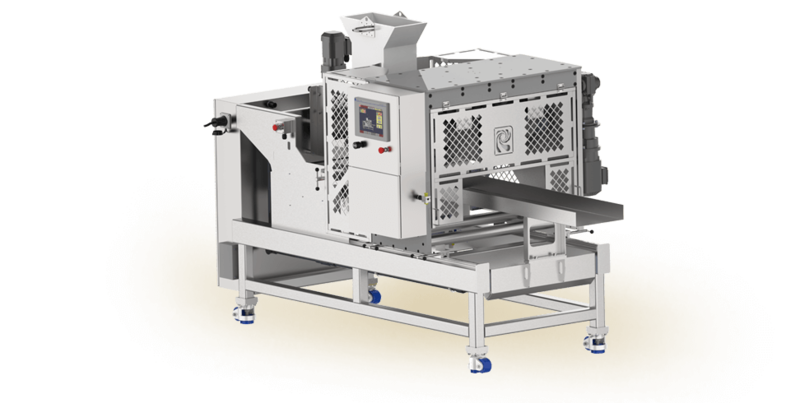 The extruded product is delivered to the fryer by a belted conveyor or by incorporating an optional oil “free float” conveying section. 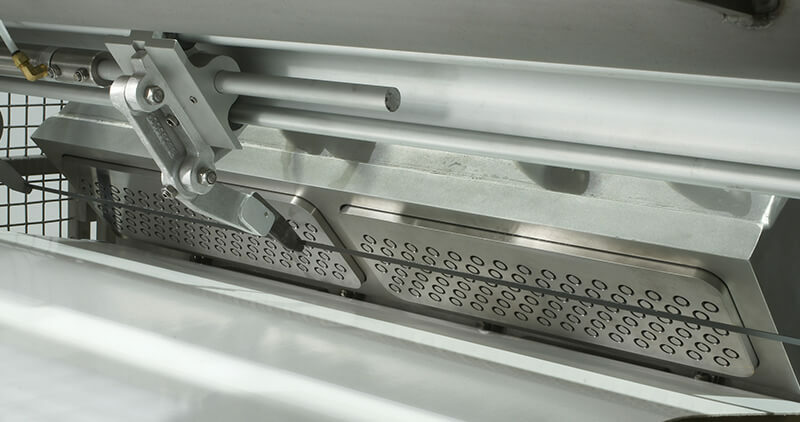 The Extruder with pre-feed rollers manages dough flow for optimum consistency from the time it enters the infeed hopper through being cut off at the die face by the high-speed bandcutter. Better snack making begins here. Get started today. 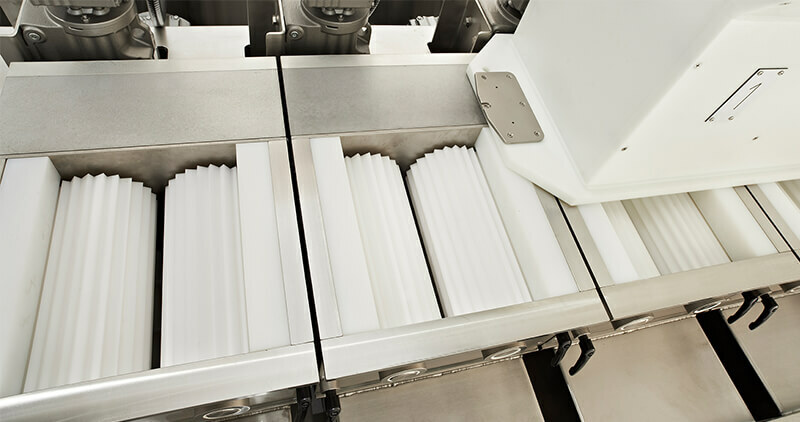 The rate of production, product thickness, bandcutter speed, and dough characteristics are controlled at the touchscreen control interface.